For over 15 years, we has designed highly effective, results-focused advertising design for hundreds of small and large businesses in just about every category. Doctors, lawyers, Internet startups and businesses of all kinds depend on us to create print ads that gets noticed and gets results. 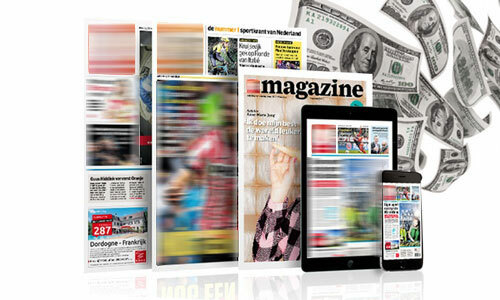 Affordable magazine and newspaper ad design that gets results! We eliminates the need for commissions, retainers, and contracts. We provide print ad design services on a project basis, using a standardized pricing system and a proven process that will increase response rates while saving you time and money. So whether you need magazine advertising, newspaper advertising, sales sheets or landing pages, we’ll work with you to create that turns readers into paying customers. There’s nothing more expensive than an ad that doesn’t drive action. We are a team of creative professionals dedicated to creating memorable print advertising design that cut through the clutter and get results. Our years of graphic design and direct marketing experience help us create response-driven print advertising design services that is optimized to increase response rates and stretch your advertising media dollars. For more information on our print ad design services, click on a link below. Or for print ad cost and free estimate for go to our print ad pricing page. Ad Resizing: Ad resizing services provided for a flat $200 per print ad. Photo Retouching: Photo retouching and color correction available for $85/hr.